A trail runner was taken to the hospital after he was attacked by a juvenile mountain lion at a popular open space just west of Fort Collins. LARIMER COUNTY, Colo. — A 32-year-old trail runner was taken to a hospital after he said he was attacked and had to kill a mountain lion at Horsetooth Mountain Park west of Fort Collins Monday afternoon. 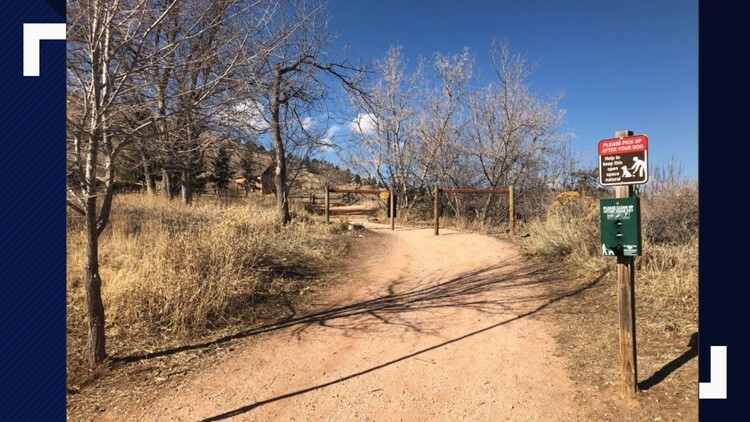 The man was running on the West Ridge Trail at the popular open space when a juvenile mountain lion attacked him from behind, according to a news release from Colorado Parks and Wildlife. The victim has since been released from the hospital and is at home recovering, a CPW spokesperson said. The man's name has not been released and it's being guarded "at his wishes", according to CPW. The Larimer County Department of Natural Resources closed the Horsetooth Mountain and Soderburg trailheads, which eventually connect to the West Ridge Trail, this afternoon to implement a cooling-off period and in "an abundance of caution," CPW said. The runner defended himself from the attack, which resulted in the death of the mountain lion, CPW said. On Tuesday, the agency said on Twitter that they had confirmed the victim's account that he was able to choke the animal while defending himself. According to Ty Petersburg, CPW's wildlife manager, the man did everything his agency asks people to: he put his hands in the air, made a lot of noise and stood his ground. Still, the lion lunged at him. "At that point, it was kind of a fight for survival between him and lion," Petersburg said. "The lion was upon his upper body and the man was able to fight the animal off and kill it at the end of it in self-defense, and then get himself off the trail into a car, and he took himself to the hospital." The mountain lion bit the runner’s face and wrist, and he suffered puncture wounds to his arms, legs and back, CPW said. Just before the attack, the victim described hearing something approaching him on the trail from behind. "[The man] didn't have any weapons," Petersburg explained. "He was really creative. He used his hands, feet -- things that were around him, and really it was just a fight for survival." The man didn't just fight off the animal, according to Petersburg. It appears to investigators that asphyxiation and some blunt force trauma to the head likely led to its death. The lion was pretty young - less than a year old - and likely a male, per CPW. It weighed less than 100 pounds. By the time crews found it, the lion was already being fed on by other animals, so it's not clear what its full weight was, Petersburg said. Wednesday, tests came back saying the mountain lion that attacked the man was not rabid. Petersburg said the runner who was attacked had more of a chance to die driving up to the trailhead than by mountain lions. Elusive animals, mountain lions are much more likely to see you than for you to notice them, Petersburg said. "Probably what happened here is that the lion had an instinct triggered," he continued. "It wasn't so much tracking a human or keying in on a human. It just had an instinct triggered like it would if you were to roll a ball of yarn across the ground for a cat." Petersburg commented on the sensational nature of the story, saying it was incredible but completely true. The runner's injuries are consistent with what he's explained to investigators and the necropsy - a kind of post-mortem - on the lion also matches up to the runner's story. The runner's survival instinct was incredible, according to Petersburg, who wondered aloud to 9NEWS what he would do in a similar situation. "To be able to see a man face adversity like that and come out on the other side is pretty amazing," he said. "So this is right near the top of the stories that I've been a part of since working." Petersburg has been with CPW for 17 years. The Horsetooth Mountain and Soderberg trailheads, which access the open space, were closed for several hours while Larimer County rangers and Colorado Parks and Wildlife officers investigated the incident. They reopened briefly but were closed again. Since the mountain lion was found deceased, they felt that it was safe to reopen those trails. Since 1990, Colorado has had 16 injuries as a result of mountain lion attacks and three fatalities, according to Colorado Parks and Wildlife. The most recent was near Aspen in 2016, when a 5-year-old boy was attacked. Horsetooth Mountain Open Space has 29 miles of trails and is open 24 hours a day.